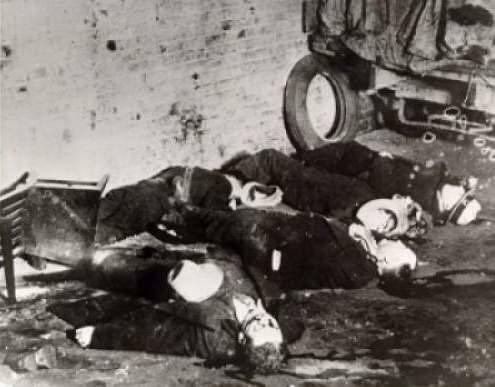 On this day in 1929, five of gangster Bugs Moran’s men, along with two men unlucky enough to be in the wrong place at the wrong time, were gunned down by men impersonating police officers. The probable sender of this grisly Valentine: Al Capone. I guess Big Al didn’t think flowers and chocolates would do the trick. The killings became known as the St. Valentine’s Day Massacre. Check out author/crime historian Pat Downey’s interview with Mario Gomes, the man who knows more about Al Capone than anyone. Well, anyone alive, anyway. 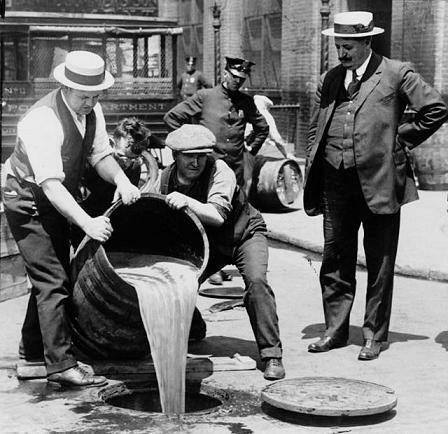 On this date in 1919, the US Congress overrode President Woodrow Wilson’s veto and passed the Volstead Act, which banned alcohol and ushered in the era known as Prohibition. Now that was a crime. On this date in 1931, gangster Dutch Schultz finally got his wish. “Ain’t there nobody that can shoot this guy so he don’t bounce back?” Dutch once asked about his rival, Jack “Legs” Diamond. Old Legs, whose other nickname was “Clay Pigeon,” had this annoying habit of surviving assassination attempts. By 1931, Legs had moved upstate to start bootlegging and narcotics operations. He spent the night of December 17th partying in Albany, after having just beaten the rap in a kidnapping trial. He left his girlfriend, showgirl Marion “Kiki” Roberts, around 11 PM, and went back to the boarding house on Dove Street, where he had been staying. Around 5:30 AM, two men entered the boarding house, went to the second floor room where Diamond was sleeping it off, shot him in the head multiple times and fled the house. The murder of Legs Diamond remains unsolved, but there were multiple theories about who was responsible. Dutch Schulz was an obvious choice. Lucky Luciano was another likely candidate. Some think it was local Albany thugs, or that the hit on Legs was ordered by Dan O’Connell, the head of the notorious Albany Democratic Machine. The Machine not only controlled politics in Albany, they also ran the local rackets. And they weren’t open to the idea of competition. This being the case, the hit may have been carried out by members of the Albany Police Department. Double-crossed ex-partners are always a good bet too, and Legs had some of those out there gunning for him. The best theory I’ve seen so far can be found in Pat Downey’s book, Legs Diamond: Gangster, available from Amazon in paperback and ebook editions. 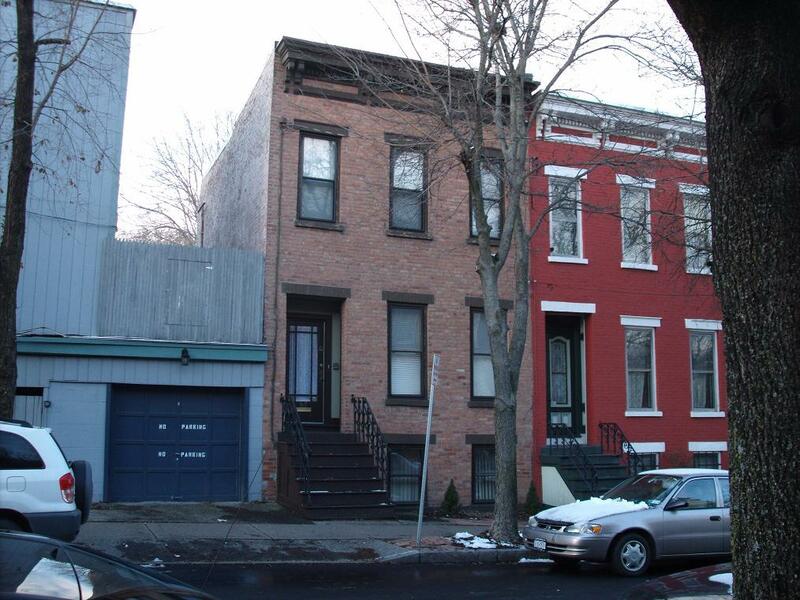 The picture above, which I took eight years ago today, is of the house at 67 Dove Street in Albany, where Legs Diamond was killed. It now belongs to author William Kennedy. 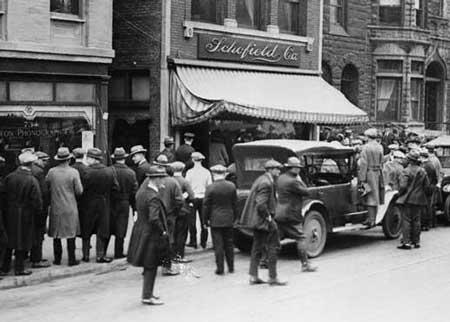 On this date in 1924, Chicago North Side gang boss Dean O’Banion was shot and killed in the back of the Schofield flower shop (pictured above), which served as his headquarters. Apparently the Chicago Outfit, which ran the South Side, decided it didn’t like the competition. They sent some of the boys to visit O’Banion in his shop. They gunned him down as he was working on a floral arrangement for mob luminary Mike Merlo’s funeral. The hit touched off a gang war between the two factions that would last five years, and would come to an end in the wake of the 1929 St. Valentine’s Day Massacre. On this date in 1920, Chicago mobster Big Jim Colosimo was shot and killed in his restaurant while waiting for a delivery. 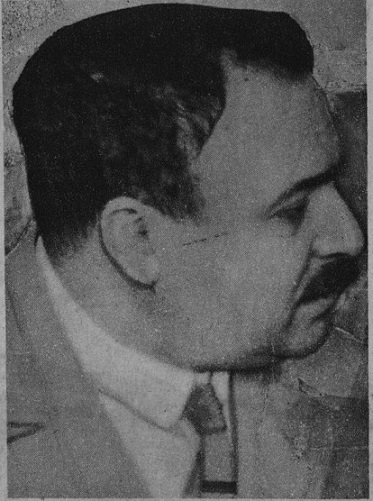 Colosimo, who had built his south side gang into a criminal organization to be reckoned with, balked at getting into the bootlegging business. He was making enough money through more traditional criminal enterprises like gambling, prostitution and protection rackets. Besides, he was also making a pretty penny selling illegal hooch in his restaurant. He saw nothing but potential trouble in setting up a distribution network that might attract the attention of the feds.